The excitement of finding your dream house is sometimes overpowering. There are some hidden costs to finding and renting an apartment. While house hunting can be a lot of fun, moving can also be stressful as it involves money. Whether it is your first time to move your family to a new community or not, you the thrills or frustrations of moving can get overwhelming. It can be quite difficult to sort out exactly how to find your ideal property even when you have a definite idea of what you are after. Will you be able to visit our desired area to check details in a week’s visit? Do you have time to get yourself familiarized with the community and the range of property it offers? 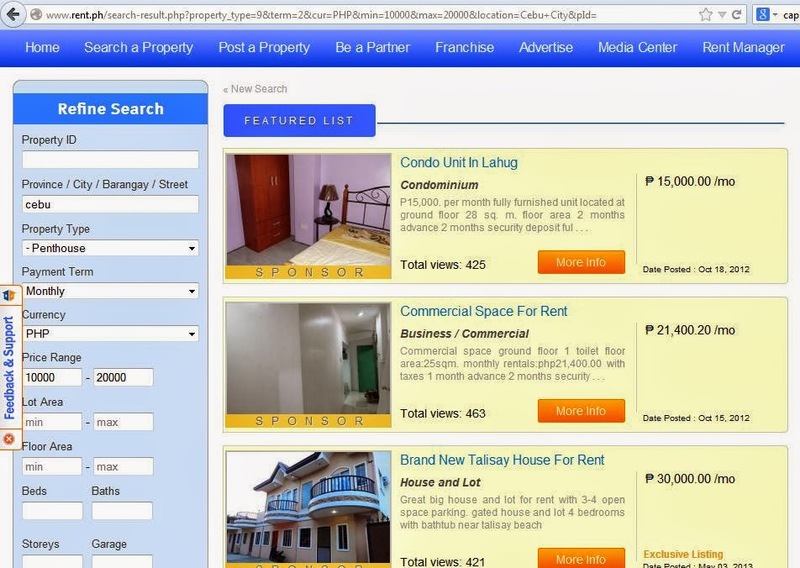 Good thing, guide to rentals such as Rent.ph helps you take the first step in your exciting leap! There are disadvantages and advantages to renting an apartment so it is crucial to analyze these and determine what you need most from your home before deciding what to do. Rent.ph (www.rent.ph) provides accurate information so that you'll know exactly what you need to know before you sign the lease. Rent.ph provides you with access to information about properties, its amenities, to points of contact, checklists, and lessor-tenant information. Just fill in details about your home search and you will get started in no time. You just sign-in and get to work! This application gives you the option of storing the apartment option you previously viewed. With user-friendly interface that allows you to creating a custom searches, looking for your ideal dwelling place is made easy. This property finder will help you look for the perfect space in your preferred location/setup and suggest options within your specific budget! After keying in all your preferences you look for in a home, the site will search the right prospective renters - including addresses and telephone numbers. 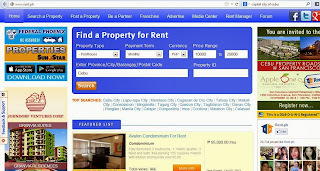 Rent.ph does away with the difficult and time consuming activities it takes to find a property. It attempts to match all your requirements. By giving a short list with photos and property details selected from the list, you save time and money otherwise spent on viewing unsuitable properties. It unburdens you the stress and strain out of the whole renting process in finding the right property, in the right areaat the best possible price. Nice! This is quite helpful-more choices and convenient. People can now do apartment hunting without actually going there. They can choose at the comfort of their own home then do site visit for the ones they really like.